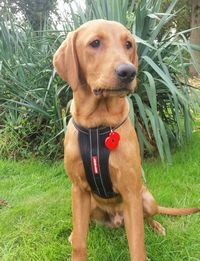 Walter and the team have put together a kit with everything you need to help your pet in an emergency – including our 24/7 emergency card all in an easy to carry waist bag. Includes bandages for trauma and bleeding, saline eyewash pods for removing grit from eyes and wounds and tweezers for removing dirt and splinters, foil blanket to keep a shocked animal warm and a pair of bandage scissors. The kit is £25 and that includes the contents. Extra items and refills for the bags are also available. In what circumstances will you need to give pet first aid? When should pet first aid be used? Immediately following an accident or in the case of sudden illness. 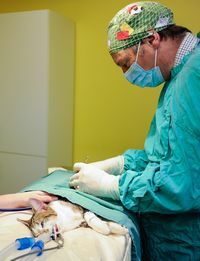 First aid should be restricted to what is necessary to save an animal’s life, to reduce pain and therefore to stop suffering until the animal receives attention by a veterinary surgeon. 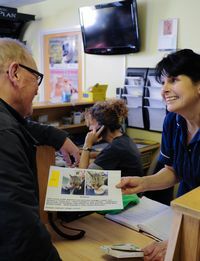 It is usually much better where possible to bring the dog or other pet in to us at Wangford Veterinary Clinic, rather than telephoning and asking for a vet to visit your home. We will be much better equipped at the surgery to carry out the correct treatment required. Who can carry out first aid? First aid may be administered to an animal by anyone. 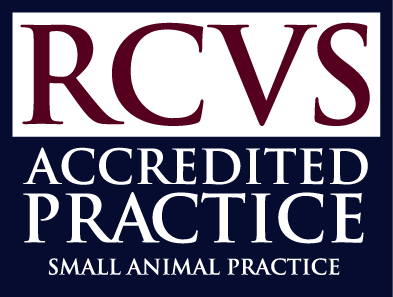 It is not necessary to make a diagnosis of injury to provide effective first aid; in fact diagnosis can only be made legally by a qualified veterinary surgeon. Be prepared and have the following things ready in your home so you are always ready for any incident or accident should it happen and have a first aid kit with you on walks and outings. The phone number and address of Wangford Veterinary Clinic or why not carry one of our Emergency 24/7 Cards in your purse or wallet. Remember, try not to panic - an emergency situation will require you to act promptly, keep calm and most importantly stay safe. Try to think slowly but act fast. 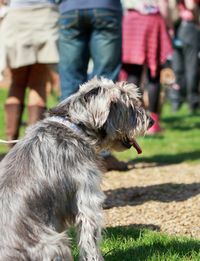 It is vital to remember that a sudden illness or injury will cause your dog or other animal to potentially be very scared, in pain/discomfort and shock. In this very high stress situation even docile dogs can bite and you must ensure your own safety. Having a muzzle or a piece of material (e.g. an old tie) to use as a ‘tape muzzle’ will allow you to aid your dog confidently. Tape muzzles cause no harm to your dog and reduce any risk of harm to you and so are advised. When travelling to the clinic please make sure your pet is securely contained so that you are able to drive safely. Never rush straight to at the Surgery without telephoning first. 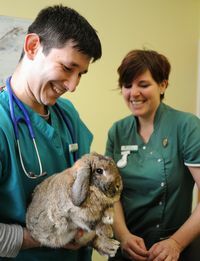 It may be that the vet could give you vital advice before you travel with your pet. Remember - Never give a sick or injured dog anything to eat or drink unless the vet tells you to do so.